It’s been a busy week here at Team17 Towers! Overcooked! 2 launched last Tuesday, Sword Legacy: Omen was released this Monday, Forged Battalion has just come out of Early Access and now… We’ve decided to put almost everything we have on Steam on sale! There’s even an extra game in there that we didn’t publish. How ace is that? 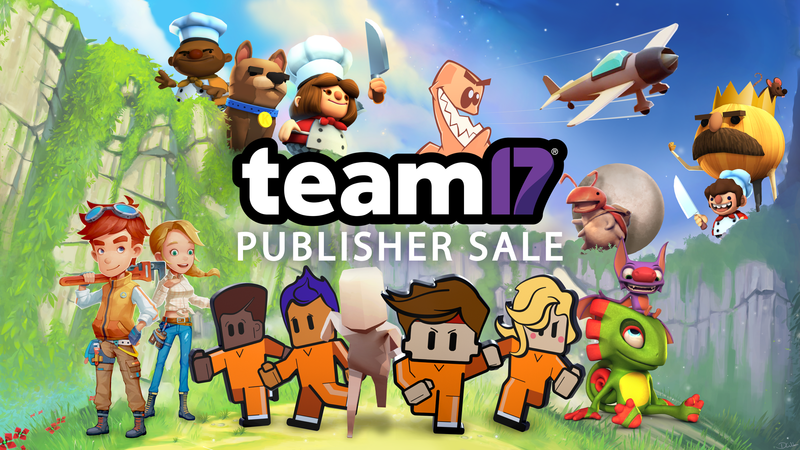 In total, you’ll find 75 items on sale from August 14th – 17th 2018 with discounts of up to 90% across the likes of Worms, Overcooked, The Escapists, Alien Breed and Yooka-Laylee! In amongst these sales you’ll also find launch discounts for Sword Legacy: Omen and Forged Battalion as well as 10% off pre-orders on PLANET ALPHA Deluxe Edition! Check out the full list of discounts below and make sure to check our Publisher Sale Page before August 17th to take advantage.